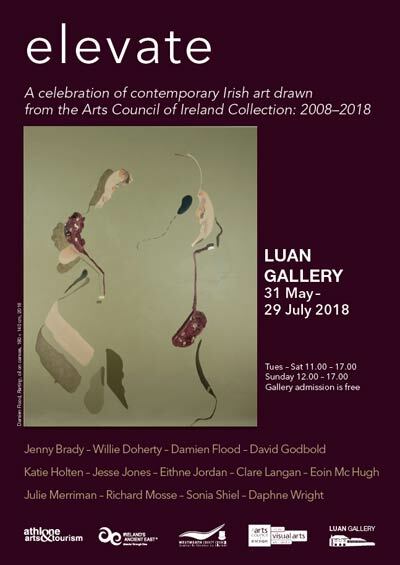 With a mixture of sculpture, paintings, prints and video works, this selection invites the viewer to experience the work of thirteen internationally renowned Irish Artists selected from this period. The exhibition was officially opened by Orlaith McBride, Director of the Arts Council. Westmeath, with Arts Officer Miriam Mulrennan guest speaking.